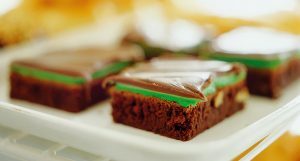 BYU mint brownies. Photo by Bradley Slade. Prep and Cook: 90 min. Cool: 1 hr.